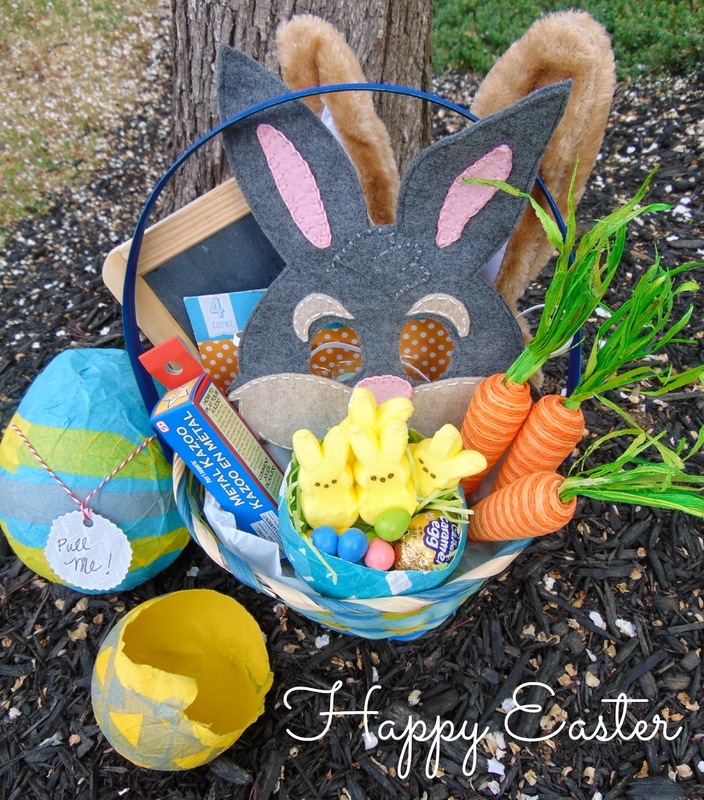 This is my fun pinata egg I created (fourth time is a charm…) after checking out this fun tutorial. I couldn’t find some of the items the original recipe calls for (liquid starch and water balloons) when I went to the store so I improvised and I’m still pleased with the technique around it. I was able to create several eggs, but this one came out the best! This is a TWO DAY project, so if you’re trying to whip one of these up give yourself some time. Here are some tips: This is basically paper mache at its finest, so don’t worry about liquid starch. You can use a simple glue and warm water mixture or even Modge Podge mixture as a substitute. 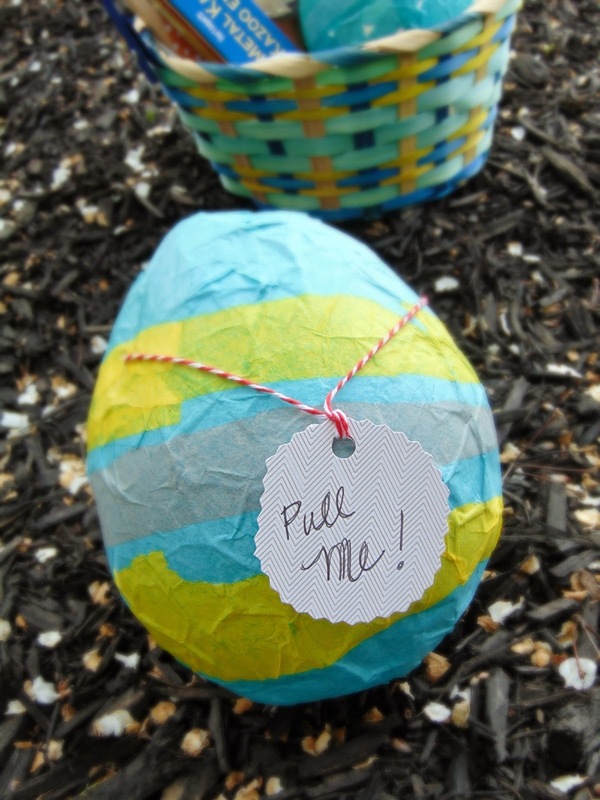 Make sure to have several layers of tissue paper to add to the strength of the egg (coverage is key). I also used regular balloons and found them to still give the “egg” shape. Also when adding your string cut ACROSS the top of the egg where your opening is. I made this mistake on my first three eggs (oy!) and didn’t realize you need to cut specifically across so when you go to close the egg it retains its shape. Don’t throw away your misshaped eggs! You can still use them (I am a firm believer in re-purposing all things). You can cut them in half and stuff them so the contents show (see the finished basket). I think they really are going to be a hit! Kai saw the ones I was working on and went crazy! I can’t wait to give him his basket tomorrow.